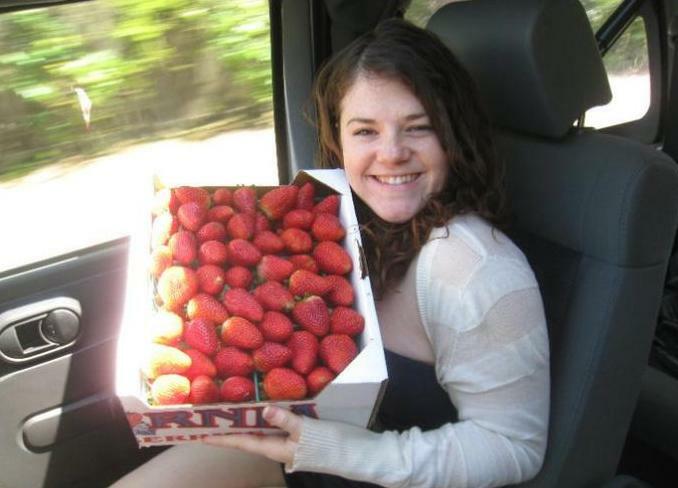 On the trip up to Wine Country we took for Moh’s birthday last weekend, he spotted a girl selling big boxes of bright strawberries on the side of a winding, sun-dappled road. 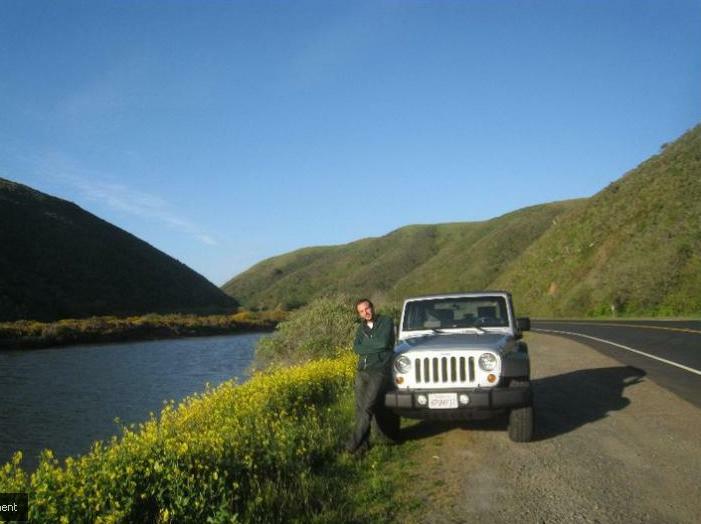 Naturally, we whipped that rented Jeep Wrangler right over so he could yell out the side, “Are those organic? ?” Being Sonoma County, they were, and we were merrily back on track to Benziger Family Winery with a case of perfectly ripe fruit in plastic-topped tow. Wine Country: open road and organics galore. Of course by the time my Tuesday night return to reality hit (the weekend was so idyllic it took an extra day, making the sugar crash that much harder), the half of the strawberries we hadn’t devoured were beginning to look like I felt. Tired. Like they’d seen better days. 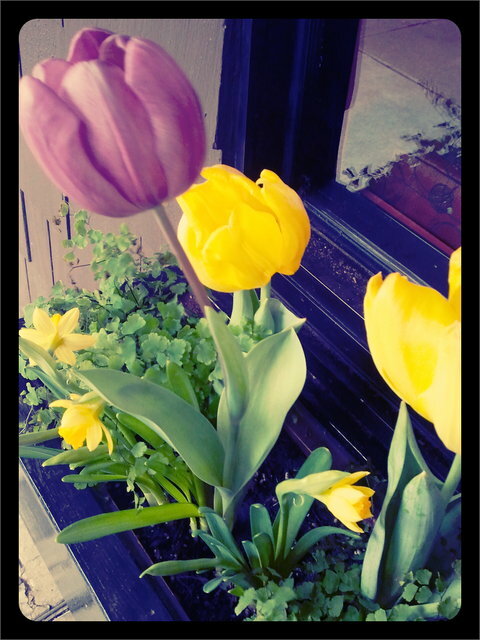 But, with my new CSA-inspired waste not, want not ethos I just couldn’t bear to let them go. Let me backtrack a bit. Though I’ve loved food since I was a wee(er) lass – seriously, ask my dad about fighting his four-year-old over the last of the pesto – my first post-college apartment boasted a charming kitchen that was essentially half of my poor roommate’s bedroom. Clearly, my first foray into “adulthood” was not so conducive to culinary exploration. As I moved on up in the world (dubious) and settled into my new apartment, which was conveniently outfitted with walls and doors and located two blustery blocks from Trader Joe’s, I came across a Mark Bittman nugget of a post: “Worry Less, Cook More.” And I embraced it. More than a year and hundreds of dinners later, I find a nerdy joy in coming home after work to cobble together a simple meal for whomever’s around from whatever’s in the fridge. But I’ve never quite gotten there with baking. Cooking seems more forgiving, more free-form, while baking has always seemed to me like some kind of sugar-coated chemistry painstakingly performed in an apron instead of a lab coat. Tastier results, same intimidating procedure. Nevertheless, I decided to squash my domestic fears of scientific shortcomings alongside a Meyer lemon to make something with those strawberries, damnit, using what I had on hand. The results? 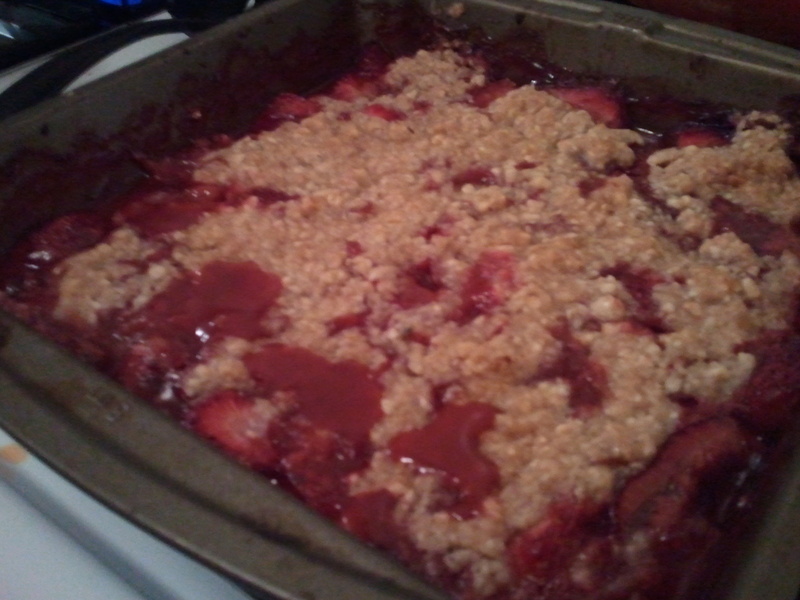 Not the prettiest creation in the history of baking, and it did lack some of the depth and backbone that a mixed-berry melding would provide, but my Strawberry Crumble was sweet and comforting and I did it all by self. No recipes, no nagging fear of culinary perfection, it was a healthy dose of perspective, encouragement and sugar all in one. I suppose that’s just the way the crumble crumbles. Slice 2/3 of the strawberries in half, removing any questionable bits, and line the bottom of a smallish baking dish with them. Toss with half the lemon juice. 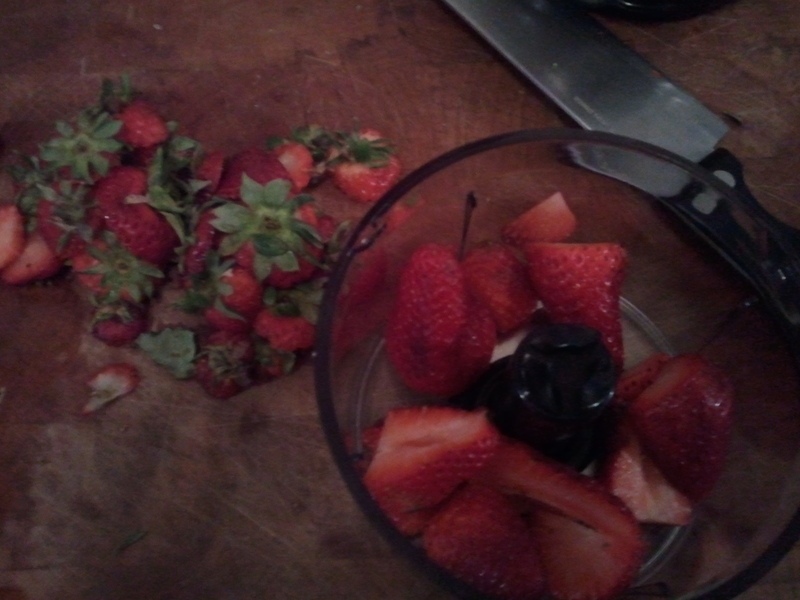 Puree the remaining strawberries in a blender. Strawbs with their heads cut off. Pour them into a small saucepan with the whiskey, the remaining lemon juice, sugar, seasonings/pepper. Heat on low while you whip up the topping, stirring once in a while so it doesn’t stick, until the boozy smell has evaporated. Keep it classy. Cut the butter into small squares. Mix your topping ingredients in a large bowl with your hands. It’s fun and then you have an excuse to eat it off your fingers when you’re done. Note: Mine was a little too wet to crisp properly, which I suspected would happen because it started wet – but I kind of like the doughy cookiness of it. I’d use probably more oats and flour to the other ingredients next time around. Go nuts. Take the filling puree off the heat and mix up with the strawberries. Spread topping mix as evenly as you can over the top. Bake until juicy edges are bubbling up deliciously and the topping is goldeny goodness, at least 30 minutes, probably more.